Product prices and availability are accurate as of 2019-04-11 12:00:06 EDT and are subject to change. Any price and availability information displayed on http://www.amazon.com/ at the time of purchase will apply to the purchase of this product. 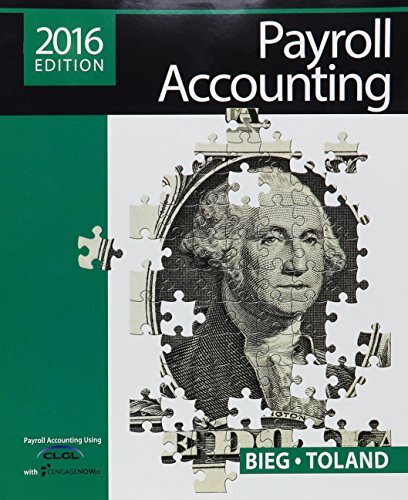 Gain firsthand experience and the thorough foundation you need for success in calculating payroll, completing payroll taxes, and preparing payroll records and reports with this market-leading PAYROLL ACCOUNTING 2016 text. This edition prepares you to deal with the latest laws in payroll for business today. The book focuses on practical applications rather than theory, giving you opportunities to practice concepts with useful, hands-on exercises. Detailed examples and real business applications clearly demonstrate the relevance of what you are learning. An extensive project in the last chapter gives you the opportunity to act as a payroll accountant and apply what you've learned. 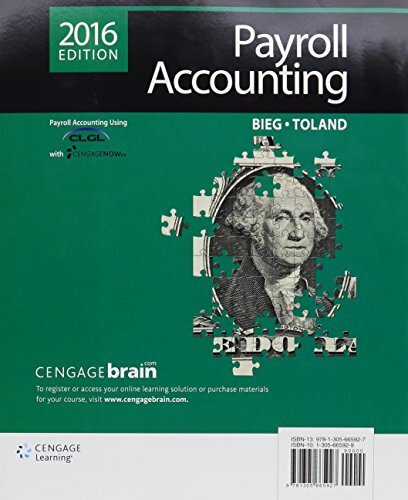 This 2016 edition also covers topics on the Fundamental Payroll Certification (FPC) given by the American Payroll Association. 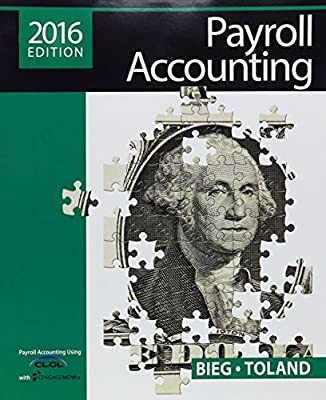 This leading text, digital resources, and accompanying materials help prepare you with a thorough understanding of payroll for success now and throughout your business career.